Philadelphia Phillies fans will have more to look forward to than Jake Arrieta and Carlos Santana when their new-look team plays its first game at Citizens Bank Park on April 5. 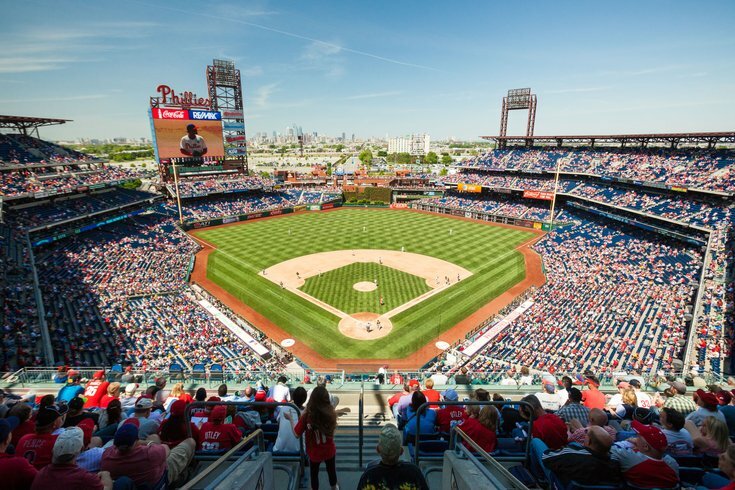 For the home opener against the Marlins, several new concessions will be available to fans in South Philly and at several ballparks around the country. Aramark, the food and beverage partner for eight MLB teams, on Wednesday revealed multiple new menu items that range from tacos to cookie dough and a vegan cauliflower cheesesteak. Here's a look at what's coming to Citizens Bank Park. 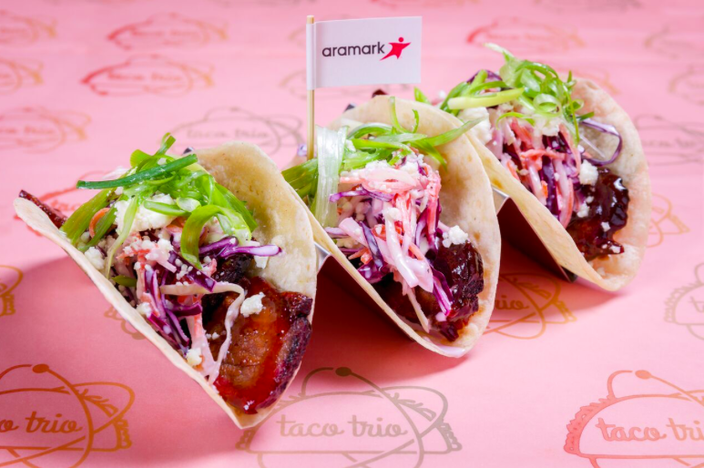 The smoked brisket taco trio is Philadelphia's lucky draw in Aramark's new signature taco series. House smoked brisket will be topped with jalapenos, cilantro crema, queso fresco and sliced radishes in corn tortillas. The smoked brisket taco trio is among the new menu items that will be available at Citizens Bank Park during Philadelphia Phillies games in 2018. In the sandwiches and franks category, Phillies fans will be getting a crispy chicken sandwich. It includes fried chicken topped with tomato bacon jam, roasted shaved brussels sprouts and Vermont white cheddar cheese on a brioche bun. The vegan cauliflower cheesesteak is Philly's new option on the health-conscious menu. There's no picture of that one, either, so you'll have to use your imagination. It's definitely healthier than the Texas Cheese Steak that'll be served at Minute Maid Park: slow-smoked pork smothered with queso and served on a pretzel roll. 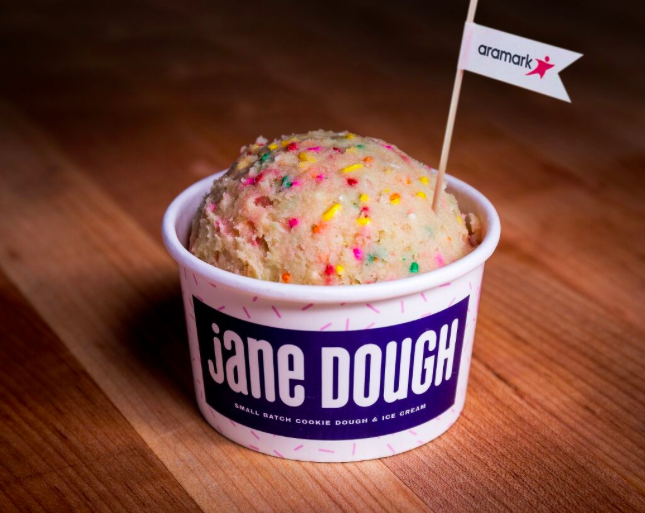 Finally, the celebratory Jane Dough, an edible cookie dough that's available with or without soft serve and toppings. A cup of cookie dough, called Jane Dough, is one of the new foods that will be sold during at Citizens Bank Park during Philadelphia Phillies games in 2018. Aramark also will be introducing cashless transactions for several items provided by in-seat vendors, who will be able to accept credit card payments for select items.